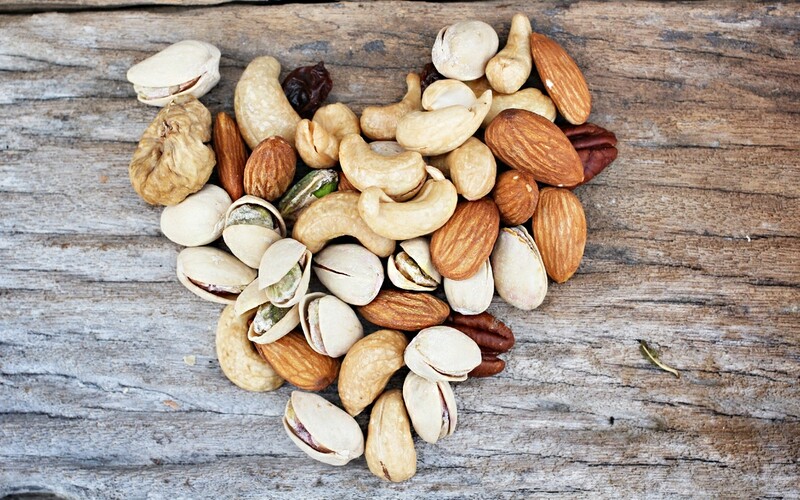 Nuts and seeds are one of nature’s true powerhouses, containing protein, healthy unsaturated fats, vitamins and minerals, and antioxidants. If these crunchy gems are a go-to food for you, then you should know that naturally occurring compounds may prevent the body from digesting nuts and seeds well, write Hilary Boynton and Mary Brackett in The Heal Your Gut Cookbook (Chelsea Green, 2014). The simple fix? Soak raw nuts and seeds first, to start the germination process. “Starting this germination process and neutralizing the enzyme inhibitors and phytic acid makes them easier on our digestive systems and allows us to better absorb the nutrients,” they explain. Here’s how. Place ½ to 1 cup raw seeds in a clean quart-sized mason jar, and cover 2 inches above the top with filtered water. Cover the jar with cheesecloth and a rubber band, and let it sit overnight for 10 hours in a cool place. Drain the seeds, rinse, and drain again; replace the cheesecloth, then invert the jar and position it at an angle in a Pyrex measuring cup or bowl. This will allow air to circulate and water to continue draining. Rinse the seeds every 12 hours, and repeat the process until sprouting begins—about 2 days. Dump the sprouted seeds onto a plate or cookie sheet, and let them dry completely. Then put them back into a clean, dry jar, cap it, and store in the fridge. Place 4 cups of raw nuts in a large jar or glass bowl. Cover with warm filtered water. Gently stir in some sea salt (use the measuring table, below). Soak for 7 hours. Strain, rinse, and place in a dehydrator or oven at no more than 150°F for 24 hours, or until crisp. Store all nuts in an airtight container in the fridge or freezer for up to 6 months. Note: Cashews are not truly raw, since they’re heated to 350°F while still in their shells to neutralize a toxic oil called cardol before they go to market. Therefore, it’s not necessary to dehydrate them after soaking, but roasting will make them the tastiest. Follow the regular soaking instructions (soak for no longer than 6 hours), then spread them out on a cookie sheet. Roast in the oven at 200 to 250°F for 12 hours for optimal flavor and crunch. Pistachios – no soaking required! This excerpt is adapted from Hilary Boynton and Mary Brackett’s The Heal Your Gut Cookbook (September 2014) and is printed with permission from Chelsea Green Publishing.